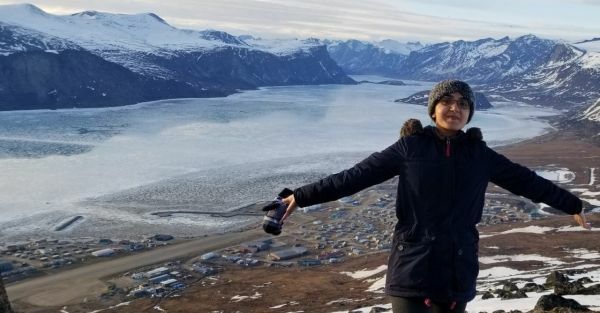 When Yashi Parmar landed in the remote northern hamlet of Pangnirtung, Nunavut, on Baffin Island last summer, she was shown a number of steel barrels that had once contained an unidentified toxic substance. Her assignment, said her boss, was to figure out how to dispose of the barrels and clean up the site. The drums were dumped in the first place because there are no roads out of the fly-in community, so removing them by truck just wasn’t possible. "A lot of what I was trying to figure out was whether it was possible to ship these barrels somewhere, and who's going to take them?” said Parmar. Continue reading at University of Alberta. Image via University of Alberta.